All influenza and epidemic updates from Dr. Herscu can be found on Dr. Herscu's blog site, pictured below. Click this link or click on the picture of the site below to open a new window with the updates. 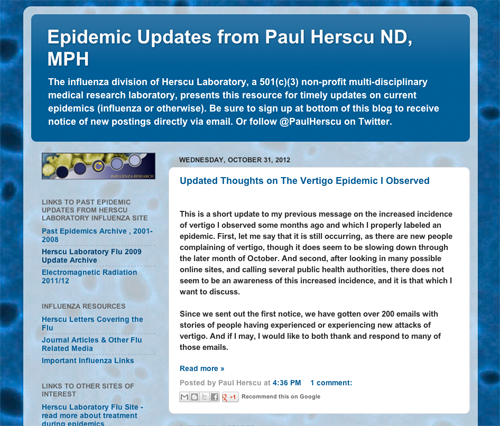 For previous news updates on the Herscu Lab Flu site, continue to the news archive page by clicking here.